You may think the device is a new Huawei quite cheap-looking phone as you want. However, as the unique representative, Huawei E5786 is on behalf of the Chinese network technology. 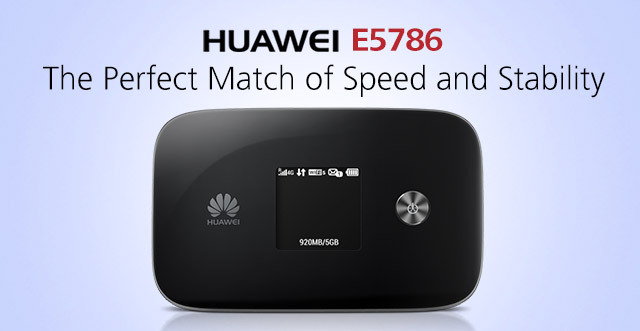 The E5786 makes Huawei became the first company to introduce a router for new technologies of LTE Category 6. It is the world’s first mobile wireless router that also supports LTE networks of Category 6, the so-called LTE Advanced, which provides the double speed than the current LTE category 4 technology. So the Huawei E5786 router offers data rates up to 300 Mbit/s, while previous cat-4 models provides only peak speed to 150 Mbit/s. Of course, a network operator must also once support these speeds – currently 100 Mbit/s is available in most European countries. However, you will already be prepared for the future with the E5786. Just recently, the German Telekom has proven that at least in theory, he could realize data rates of 580 Mbps. In addition, the E5786 LTE router of course also offers the possibility those 3G networks with up to 42 Mbit/s to use downstream. 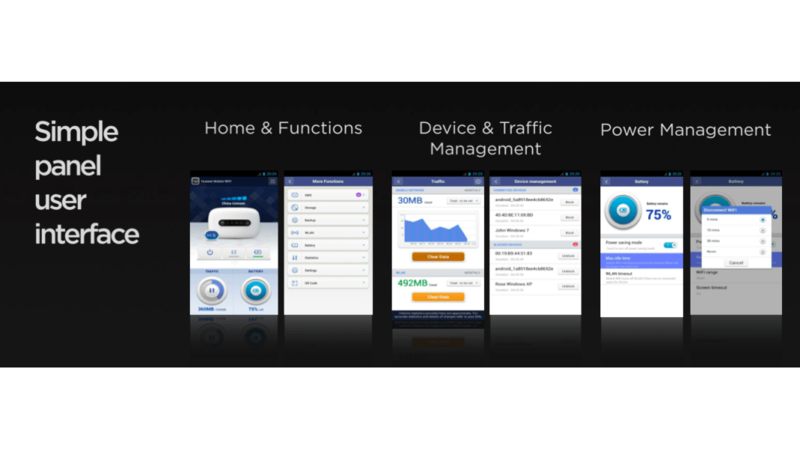 On WLAN all current standards are supported: 802.11 a / b/g/n/ac. The E5786 router equipment is thin and in pocket size, and there is only one interface for USB. The SIM card slot is just at the side of a microSD memory card slot. 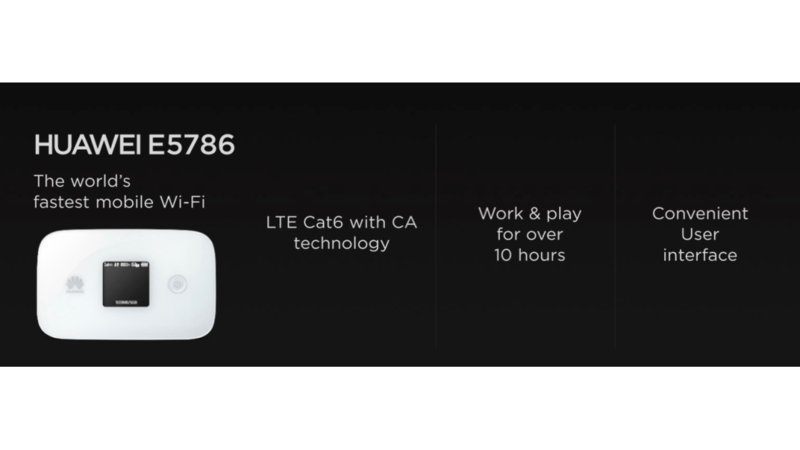 The Huawei E5786 router could be managed via the web interface or via an app(Huawei Mobile WiFi app), the top-mounted display also allows the retrieval of the current settings from an extensive menu. Further more, there is even a connection for an external antenna hiding behind the removable cover. A 3000mAh battery should make for enough battery life to last a working day with one or two devices connected. Add more phones or tablets or start leaning heavily on the Wi-Fi and you’ll see battery life drop quickly, though. The E5786 is 15.9mm thick, weighs 149g, and is apparently inspired by the curve of a rainbow. Here now, many network providers introduced the Huawei E5786 to their plan, which makes E5786 have many variant models. As we know, there are Huawei E5786s-32a (Speedbox LTE mini II), E5786s-62a (Telstra Wi-Fi 4G Advanced Pro X), and E5786s-63a (Optus WiFi Modem) LTE products. But there is unlocked units of Huawei E5786 on www.4gltemall.com and user can use the Huawe E5786 freely without limit.